Branding Benefits: With well-written, authentic content you are able to establish your brand and showcase your expertise in your industry. You are enhancing the lines of communication with your clients and prospects where they can be encouraged to provide feedback, ask questions and share your content with others. SEO Benefits: Blogging consistently is a optimal Search Engine Optimization strategy. Every time you create a blog post, you are building on your website’s library of keywords, offering more opportunities for users to find you via search engine queries on related topics. And each time you publish new content on your website, you are pinging the search engines, thus enticing the spiders to crawl your site and rank your webpages higher than those of your competitors. 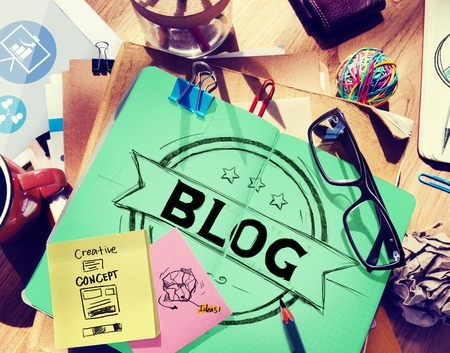 STAT: Once you write 21-54 blog posts, blog traffic generation increases by up to 30%. STAT: Once a site has over 300 indexed pages (which includes blog posts), traffic generation increases by 236%. Marketing Benefits: Blogging is a great outlet for content marketing. By discussing topics that appeal to your specific target audience, you are drawing in new customers and encouraging conversion. STAT: B2C companies that blog generate 88% more leads per month than those that do not. STAT: B2B marketers that use blogs receive 67% more leads than those that do not. More Info: For a full list of benefits, read “The Benefits of Business Blogging” on my blog! Research of the client’s industry via related blogs, trade journals, and news articles. Regular communication with the client to gain insight on upcoming events, sales, discounts, and pertinent topics to their business. Writing and editing original content of the blog post to ensure readability and appeal to the target audience. Publishing & Stylizing which includes adding photos, any outbound links, and utilizing SEO blog tools by adding tags, keywords, title and synopsis. Promoting each blog post via your social networks. We have monthly plans to fit your budget! How to advertise your blog and share with your other social media networks. Call today for a customized package to fit your needs, goals and budget.